A rather clumsy Alfred Hitchcock thriller, Suspicion suffers from a miscast Cary Grant unable to generate any evil intent, and a psychological drama that unfolds in fits and starts. The story of a woman suspecting her husband may be up to no good manages some limited tension but is ultimately at least as burdensome as it is appealing. 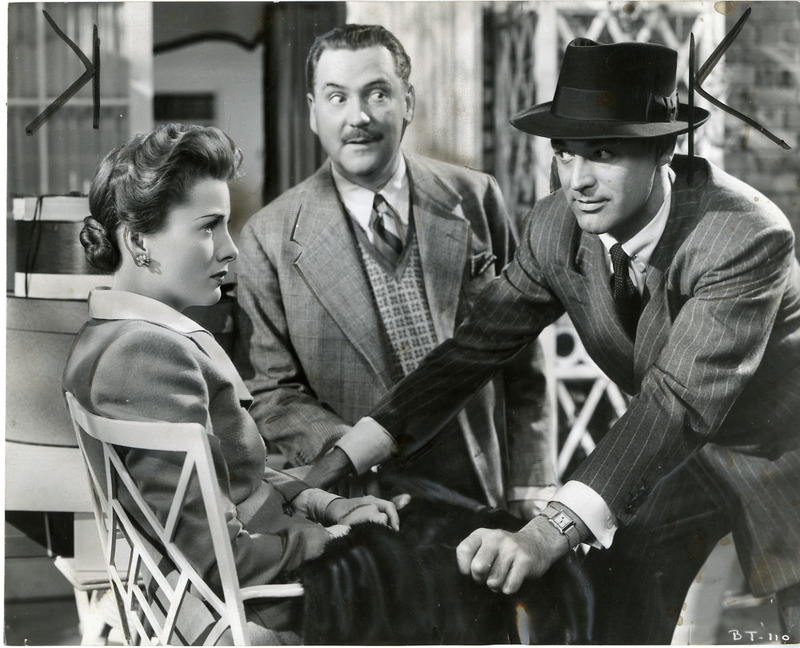 Bookish Lina McLaidlaw (Joan Fontaine) meets the suave but mysterious Johnnie Aysgarth (Grant), and he immediately sets about pursuing her romantically. Initially not interested, Lina changes course and impulsively marries Johnnie when she overhears her parents wondering if she will ever find a man. Soon after they get married, Lina realizes that Johnnie has no job and is carrying substantial debt. In fact, he may have married her mostly for her family money, hoping that she will receive a good inheritance once her father General McLaidlaw (Sir Cedric Hardwicke) dies. When confronted, Johnnie pretends to get a job; but he actually spends his time gambling. The more Lina finds out about her husband, the more she suspects that she has married an outright scoundrel. Johnnie then tries to enter into a get-rich-quick land deal with his wealthy but dim friend Beaky (Nigel Bruce), but Lina wonders if Johnnie may resort to murder to secure the money that he desperately needs. The production is enjoyably lush, Hitchcock making good use of the grand home where Johnnie and Lina take up residence, as well as a scenic beach front setting suitable for a land development project or for planned accidents. An imposing portrait of Lina's dad General McLaidlaw is strategically deployed as a reminder of the stability that Lina left behind in marrying Johnnie. Nigel Bruce as the rich but slow Beaky provides good comic relief as an almost too easy victim of Johnnie's manipulative talents. Hitchcock's pacing is peppy, delivering a fairly involved story in under 100 minutes. But a fundamental problem with Suspicion is that Lina marries Johnnie without bothering to find out anything about him. She rushes into the marriage not knowing what her husband does for a living, how he earns his money, what hobbies he has, who his friends are, and what plans he may have for the future. With such a display of what can only be called brazen doltishness by a supposedly smart woman, does Lina not deserve whichever fate awaits her? It is difficult for an imbecilic action to generate sympathy, and Hitchcock spends most of the movie chasing a caring connection with Lina's frazzled emotions. Fontaine won a Best Actress Academy Award for her performance, and she is fine in portraying a wife full of apprehension about her man's motives, but her character could, perhaps, have displayed better inquisitive judgement to begin with. 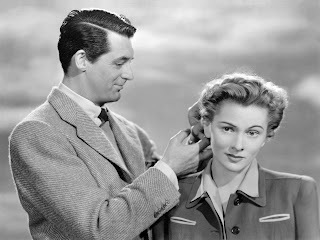 Cary Grant smiles his way through the movie with a smarminess that suggests either blissful contentment or lazy craftiness, but he never finds the hint of hard malice required to convince as a true merchant of purposeful harm. An early scene where Johnnie physically grapples with Lina is inexplicably crude, neither Grant nor Fontaine able to translate the preadolescence scuffle into meaningful adult behaviour. The film is further hampered by an ending imposed by Grant's screen persona, and the rushed climax leaves a rather acrid aftertaste. Suspicion is more watchable than it is convincing, the damsel in potential distress elements reasonably efficient, the overall effort honest but suspiciously lacking a cutting edge.